Best saloon cars 2016 | What Car? There really aren't too many saloon cars available on the UK's new car market any more. Due partly to the rise of the hatchback and five-door cars such as the Ford Mondeo and Skoda's Octavia and Superb, and also the continuing popularity of estate cars, the traditional four-door family saloon is a dying breed. Still, the saloon market still offers value for money for both the private car buyer and the company driver. So read on to find out which should feature on your shopping list. While the A3 Sportback arguably has more appeal for keener drivers, there’s no denying that Audi’s junior executive A3 saloon is one of the finest cars in this class. 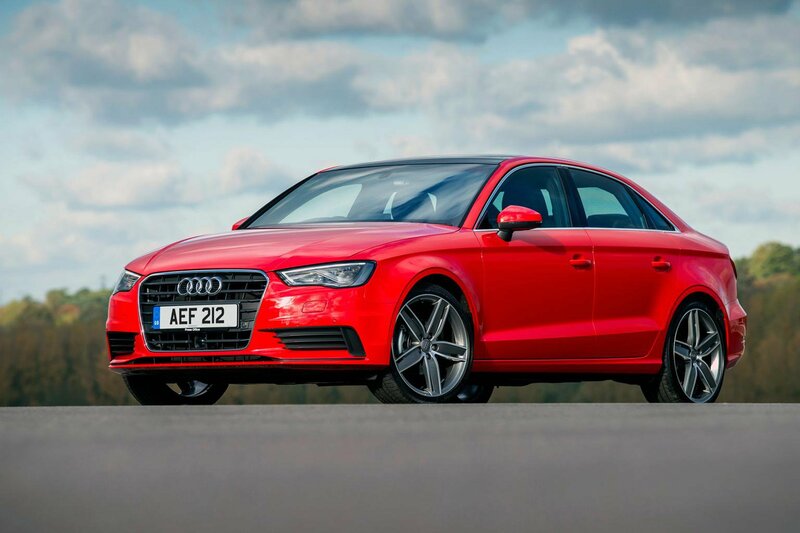 Bursting with kit and powered by an exceptionally smooth range of engines, the A3 Saloon can be had for as little as £23,585 – enough to make BMW’s 3 Series seem overpriced. There are two trim levels to choose from, dubbed Sport and S line. Sport gets you everything you need but also comes with Sport suspension, which results in a sometimes harsh ride. Fortunately, there’s a no-cost option to change that for a more comfortable set-up. The 2.0-litre diesel engine recommended here is wonderfully smooth and emits just 108g/km of CO2, and should be the model of choice for company car buyers. Private buyers should opt for the 1.4 TFSI Sport model. 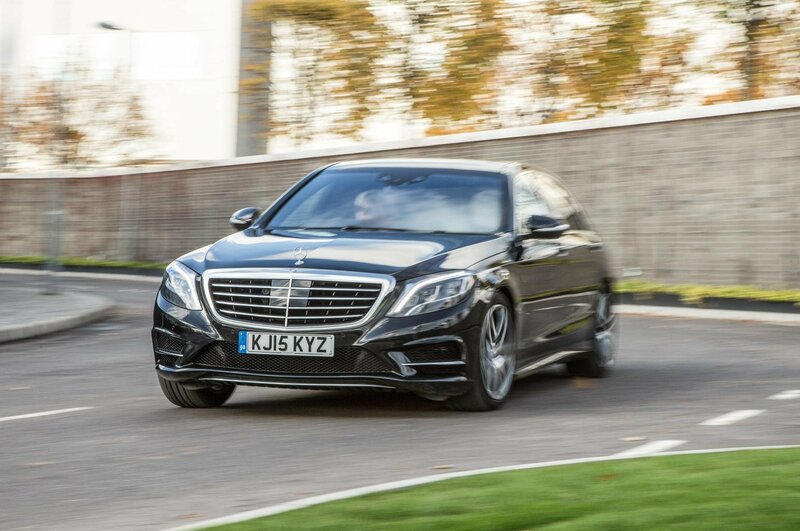 Elegant and luxurious, Mercedes’ latest S-Class is as refined and as comfortable as they come and, if you can afford its £68,870 entry price, well worth looking at. Aside from the S-Class’s signature styling outside, you’ll also find a cabin trimmed with luxurious materials and packed with technology. If you’re buying the S-Class to drive yourself – and it is a very rewarding driver’s car – then stick to the standard length model. If you plan on being driven, however, then it’s worth upgrading to the long-wheelbase car. That also grants you access to the Chauffeur package, which allows the front passenger seat to slide forwards electronically, giving you even more room in the rear. The de facto compact executive saloon, and for a variety of reasons one of the most popular saloons on Britain’s roads. Unless you really need four-wheel drive, it’s best to look beyond the xDrive-badged models and save money, but if you do require the added secutiry of all-wheel drive then rest assured that both performance and fuel economy won’t be affected. 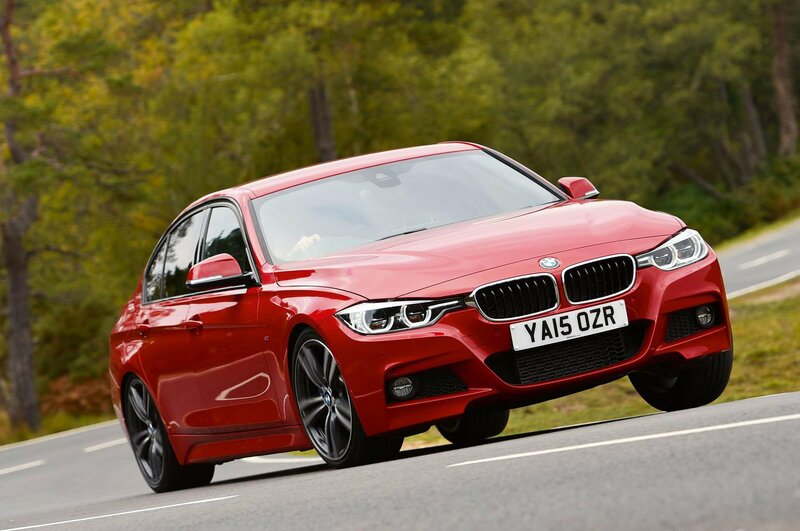 Company car drivers also love the 3 Series’s low car tax status. Even entry-level 3 Series models come well equipped, but it’s worth adding Adaptive M Sport suspension if you can, as it helps to turn the 3 Series into one of the best driver’s cars in this class. Also make sure you go for the slick automatic transmission over the sometimes notchy manual. For ultimate mile-munching in comfort, there are few cars which can match the BMW 5 Series. In 520d form, the 5 Series is just about the most engaging executive saloon available today. It's refined, smooth and engaging enough to satisfy on more challenging roads if you want it to. It's also affordable, and can return an impressive 68.9mpg. Long-term, you'll find the 5 Series an absolute joy to live with, representing both great value and loaded with equipment. It's interior is far more plush than most rivals, too. If you needed even more convincing, the 5 Series was named our favourite executive car in the What Car? Awards. Jaguar’s baby saloon is very much the new kid on the block here. That said, the XE is an impressive saloon. Most of its engines emit relatively low levels of CO2 and come with plenty of equipment inside. It also handles and steers like you imagine a sporty executive car will, with plenty of grip and a comfortable ride. 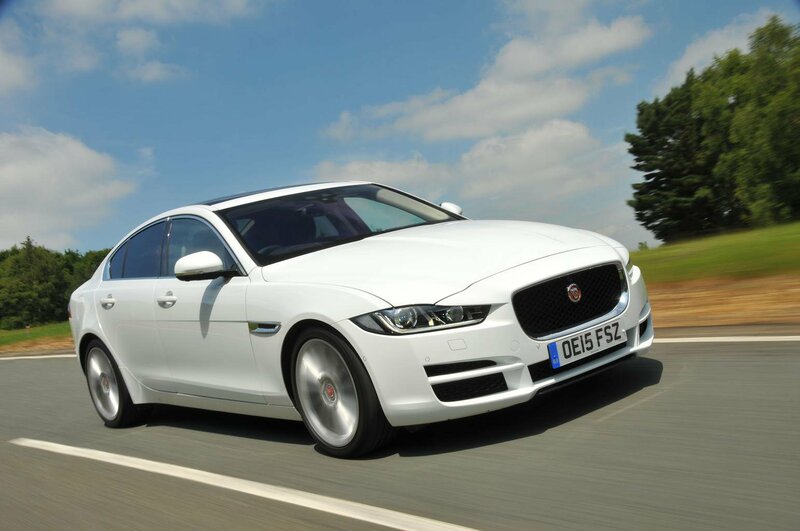 Complaints regarding the XE are few but don’t expect to be blown away if you opt for the engine recommended here. It’s green and refined, but higher-output options may provide better thrills. Rear-seat space also isn’t close to the class best. The C-Class was so nearly at the top of this list. It’s just as good as Audi’s A3 Saloon in so many respects, particularly in its latest generation, but a shortage of engine refinement across the range and the need to add air suspension as a necessary option keep it from tipping the top spot. 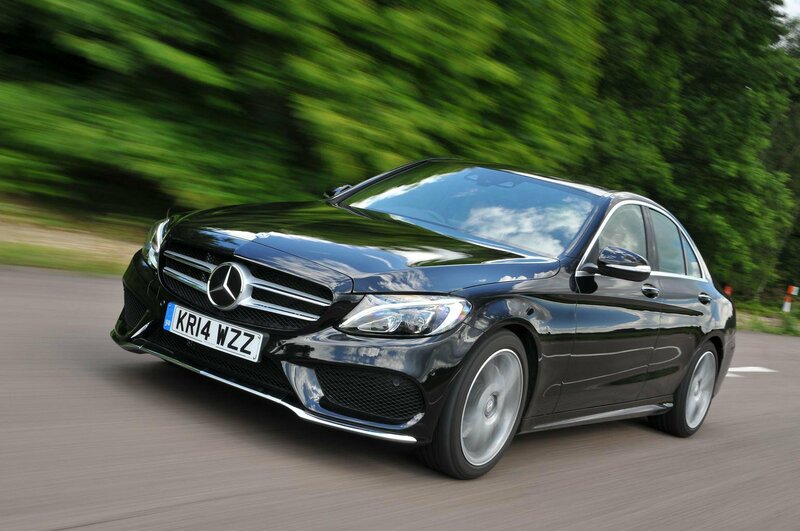 All C-Class models are well-equipped, coming with a plush and practical interior which looks and feels premium. Most models also offer relatively low CO2 emissions – which may help to offset the slightly higher entry price of £27,665, some £2000 more than the BMW 3 Series. Whichever model you go for, opt for Sport trim over SE specification and you’ll end up with more equipment. 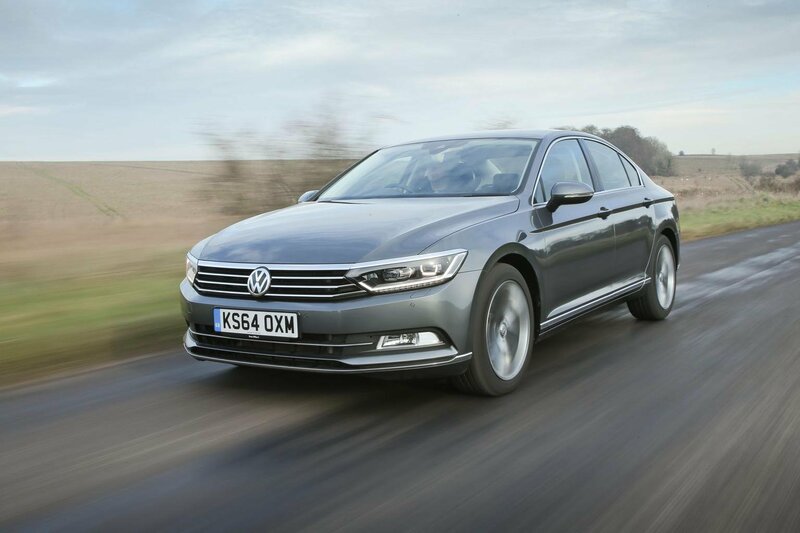 Representing truly astonishing value, the sub-£25,000 Volkswagen Passat is far more premium than any of its predecessors. 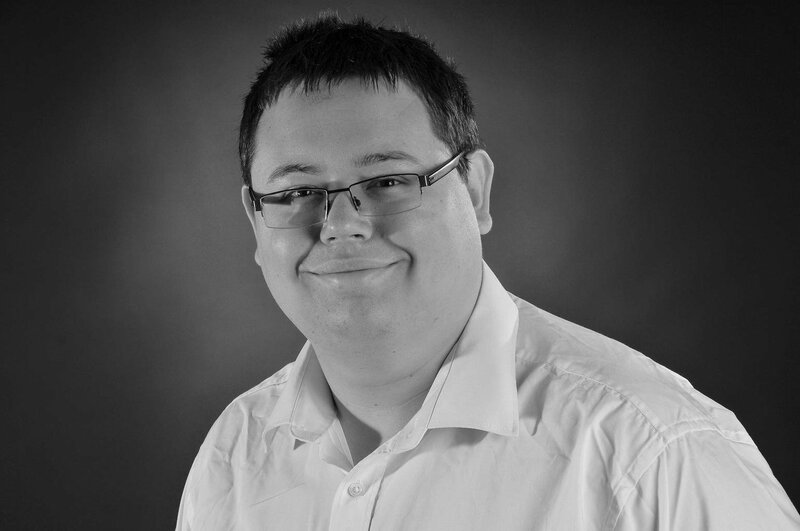 It comes with a posh cabin with plenty of kit and represents good value for money for both private and company buyers. Volkswagen wanted to punch above its weight with the Passat, taking on more premium offerings from Audi, BMW and Mercedes-Benz. The Passat does this very well, offering the kind of lavish comforts you'd expect on more costly models. It's also interesting to drive, with the 2.0-litre diesel engine returning an impressive 70.6mpg while emitting 106g/km of CO2.